Slipsilk™ is specially-commissioned and made to exacting standards, developed and refined over ten years to provide the ultimate combination of shine, thickness, softness and durability. 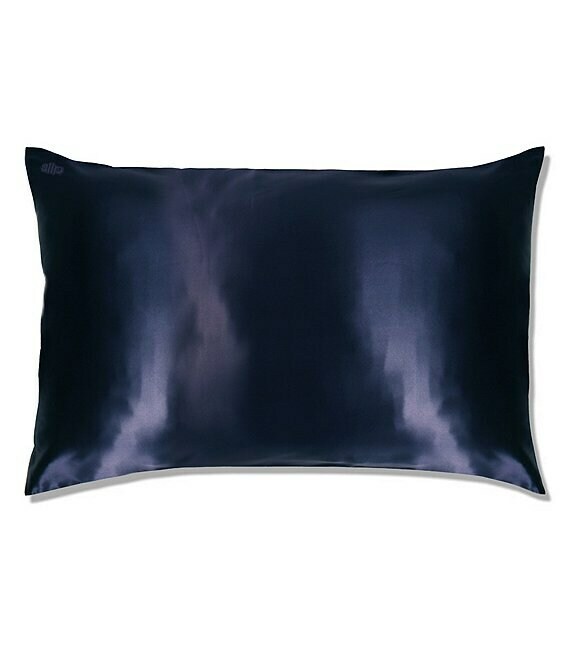 Slipsilk™ pillowcases use the highest-grade (6A) long-fibre mulberry silk with a thickness of 22 momme and enforce the strictest quality guidelines, including non-toxic dyes. Flap/pocket closure. Traditionally, silk is hand wash and dry clean only. Slipsilk™ pillowcases are of the highest quality, so they are machine washable, but they are still silk and need as much care as we can give them. Always use a ph neutral detergent and/or fabric softener. Silk is a natural fiber, and washing in a solution that's too acidic or alkaline can cause the silk to harden in a single wash. If you can't find a detergent that specifies ph level, go for one that specifies silk. Even just slightly above 85° F (30° C) can change silk dramatically. If your machine doesn't specify exact heat settings, the best method is either cold or one level above cold. A delicates bag is optional, depending on your washing machine and whether it tends to grab items and tear them. The gentler you wash your Slip pillowcase, the longer it will keep its sheen. The shinier it is, the better it will "slip," which is one of the benefits to its health and beauty qualities.